A military intervention led to President Robert Mugabe’s resignation in November 2017, ending his 37-year rule. Former Vice President Emmerson Mnangangwa stepped up as president and was formally elected on July 30, 2018 (see Introduction). There were no connectivity disruptions or social media blocks during the coverage period. The National Policy for Information and Communications Technology, launched in March 2018, includes a plan to centralize control over the country’s internet backbone (see Restrictions on Connectivity). False information online became more prevalent during the military intervention in late 2017. ZANU PF under President Mnangagwa is believed to pay progovernment commentators on social media to defend the new administration and attack opponents online (see Media, Diversity, and Content Manipulation). The draft Computer Crime and Cybercrime Bill gained momentum in 2018 and, if passed, will place restrictions on freedom of expression online (see Legal Environment). Several individuals were arrested for criticizing government officials, including Pastor Evan Mawarire, who had been previously arrested for leading a largescale anti-government protest movement in 2016 (see Prosecutions and Arrests for Online Activities). Concerns of unchecked government surveillance heightened in the face of revelations that the government partnered with Chinese company CloudWalk Technology in March 2018 to implement a nationwide facial recognition program (see Surveillance, Privacy, and Anonymity). Internet freedom in Zimbabwe improved slightly in the past year due to a lack of restrictions to connectivity and social media platforms compared to the previous year. Nonetheless, false and manipulated information proliferated online during both the military intervention in late 2017 and elections in July 2018. In November 2017, then-94-year old President Robert Mugabe was compelled to resign under pressure from the military after spending 37 years in power. Former Vice President Emmerson Mnangangwa stepped in as interim president, promising to hold elections in mid-2018 as scheduled. While the end of Mugabe’s rule was largely welcomed by Zimbabweans and the international community, there have been no meaningful changes to the rule of law or the human rights situation under Mnangangwa’s new tenure. The same political party, the Zimbabwe African National Union – Patriotic Front (ZANU PF) remains in power. Conversely, Mnangangwa followed through on a few of Mugabe’s initiatives to restrict internet freedom in the past year. In March 2018, he launched the National Policy for Information and Communications Technology (ICT), first introduced by Mugabe’s administration in 2015, which sets out to centralize control over the country’s internet backbone. Throughout the year, Mnangangwa’s government continued to push for the draft Computer Crime and Cybercrime Bill, which will place restrictions on freedom of expression online if passed. And a new partnership with Chinese company CloudWalk Technology in March 2018 to implement a nationwide facial recognition program heightened concerns of growing government surveillance. In a positive reversal, Mnangangwa’s administration dropped the new Ministry of Cybersecurity, Threat Detection and Mitigation created by Mugabe in October 2017, which observers believed was aimed at curbing freedom of expression online. There were also no reported arrests or prosecutions for online activities under Mnangangwa in 2018 during the coverage period of this report; arrests recorded were under Mugabe’s tenure. There were no disruptions to connectivity during the coverage period compared to previous years. The National Policy for Information and Communications Technology launched in March 2018 includes a plan to centralize control over the country’s internet backbone. Access to the internet in Zimbabwe stood at 52 percent as of mid-2018, according to official government data from the telecoms regulator POTRAZ, which incorporates mobile broadband access.1 By contrast, latest available data from the International Telecommunications Union (ITU) reported a much lower rate of 23 percent in 2017.2 Mobile phone penetration was much higher at 88 percent per official government data, though millions of Zimbabweans remain virtually disconnected due to poor network coverage in remote areas or the lack of affordable services. Growth in mobile penetration coincides with the increase in mobile base stations around the country. The rising popularity of free over-the-top (OTT) communications apps such as WhatsApp and Viber over the past few years has increased competition in the data internet market among service providers. Internet data costs have remained largely unchanged with leading mobile network, Econet offering access to the social media apps Facebook, WhatsApp, and Twitter for US$ 1 for up to 250MB of use and daily social media access at US$ 0.30 in mid-2018. State-owned NetOne offered social media data access of 40MB daily for US$ 0.27 and 250MB for US$ 2.80 per month. Home fiber from Liquid Telecom (owned by Econet) cost US$ 29 for 25GB/month. Laptops have maintained a steady average price of US$ 300, while refurbished desktops and laptops can cost US$ 50 and $150, respectively. Internet cafes remain popular especially among youths for playing video games and downloading music. There remains a significant urban-rural divide among Zimbabwean internet users. There were no disruptions to internet or mobile network connectivity during the coverage period. Previous restrictions occurred in 2016, when the government made apparent efforts to restrict access to WhatsApp during antigovernment protests in July 2016. The platform was inaccessible for several hours, which observers believe was a deliberate move to cut off access to the popular mobile messaging app used by protestors to mobilize. Later in August 2016, mobile data prices reportedly increased by 500 percent overnight after the regulator directed mobile operators to suspend cheaper Facebook and WhatsApp data bundles, leading to suspicions that the government was deliberately curtailing access to mobile internet by making it unaffordable.4 The minister of ICT later reversed the directive. Zimbabwe has five international gateways for internet traffic: state-owned TelOne and Powertel; and privately owned Dandemutande, Econet, and Africom. State control over two of the country’s gateways gives the government some ability to restrict access to internet and mobile networks, if desired. As set by the regulator, license fees for ISPs range from US$ 2-4 million, depending on the type of service, and must be vetted and approved by the regulator prior to installation.10 Providers must also pay 3.5 percent of their annual gross income to the regulator. In 2017, the aspiring ISP, TeleContract (Private) Limited, initiated legal proceedings to challenge the regulator’s high fees in court, calling them “unreasonable.”11 As of mid-2018, the matter is pending in the High Court. In general, there is a sense among private telecom players that the regulator favors state-owned entities and sets onerous license fees and conditions to disadvantage private companies. Zimbabwe has five mobile service providers: privately-owned Econet and Africom, and state-owned TelOne, Telecel, and NetOne. Econet dominates the mobile data traffic holding 65 percent of the customer market share as of early 2018.12 Telecel had partial state-ownership until November 2016, when the government reportedly paid US$ 21 million for its acquisition,13 a move that was seen as an effort to consolidate the government’s control of the telecommunications sector. ISPs and mobile phone companies are regulated by the Postal and Telecommunications Regulatory Authority of Zimbabwe (POTRAZ), whose leaders are appointed by the president in consultation with the minister of information communication technologies and courier services. POTRAZ is expected to operate independently, but in practice, its independence has eroded over the years, becoming increasingly subsumed by security organs of the state. 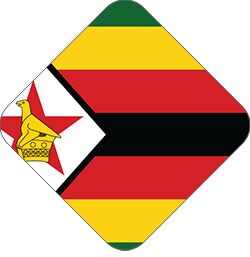 In October 2016, for example, a former director within the intelligence agency, Gift Machengete, was appointed as director-general of POTRAZ, which observers believe is part of the government’s plans to monitor and restrict online activities.17 IAPs and ISPs are also subject to security screenings by Zimbabwe’s military, according to local sources. Following the July 2018 elections, the state-owned telecom blocked the independent site Zimelection.com. There was a notable increase in false information disseminated on social media during the military intervention in late 2017 that led to President Robert Mugabe’s eventual resignation. ZANU PF under succeeding President Emmerson Mnangagwa is believed to pay progovernment commentators on social media to defend the new administration and attack opponents online. During this report’s coverage period, there were no reported incidences of the government blocking or filtering online content. Access to social media platforms such as Facebook, Twitter, and YouTube and international blog-hosting platforms were all freely available. However, in the days following the July 2018 elections, Zimelection.com, website of the independent advocacy organization Zimbabwe Election 2018 based in the United Kingdom, was blocked on the state-owned telecom, TelOne.19 The site was still accessible on private networks. The government last interfered with online content in July 2016, when WhatsApp was reportedly blocked during largescale anti-government protests.20 While the government denied that it had blocked the service, sources in the telecoms sector revealed that they had received instructions from the government to shut down WhatsApp.21 The WhatsApp outage followed months of threats made by government officials to restrict social media and may bode further restrictions to come. Nonetheless, a lot of critical news and information typically stems from independent news websites and other digital media outlets based outside Zimbabwe. Local media outlets reporting on controversial issues are often met with threats of arrest from state officials. Locally based online news sites such as Newzimbabwe.com and NehandaRadio.com typically report on sensitive issues under the cover of pseudonyms. Self-censorship both online and off among Zimbabweans remains high. The arrest of digital activists like American Martha O’Donovan and Evan Mawarire (see Prosecutions and Detentions for Online Activities), as well as government’s threatening statements about posting critical content, have palpably increased fear and self-censorship, according to local observers. Fake news became more prevalent in the past year, with a notable increase in false information disseminated on social media during the military intervention in late 2017 that led to President Robert Mugabe’s eventual resignation. The spread of unverified reports intensified the public’s anxiety and fears during the country’s unprecedented political transition. False reports revolved around the whereabouts of Mugabe and his family, including reports that Mugabe’s wife Grace Mugabe had fled to Namibia, which the Namibian government publicly denied.26 Fake stories also spread about which of Mugabe’s allies had been arrested or killed. The draft Computer Crime and Cybercrime Bill gained momentum in 2018 and will place restrictions on freedom of expression online if passed. Several individuals were arrested for criticizing government officials. Concerns of unchecked government surveillance heightened in the face of revelations that the government had partnered with Chinese company CloudWalk Technology in March 2018 to implement a nationwide facial recognition program. Zimbabwe’s newest constitution enacted in 2013 provides for press freedom, freedom of expression, and access to information but is contradicted by laws that may curtail these rights.31 Most notably, the Criminal Law Codification and Reform Act (CODE) places restrictions on certain types of speech that apply equally online and off. Section 33 of the CODE characterizes “undermining [the] authority of or insulting [the] President” in any printed or electronic medium as a crime against the state and prescribes fines, penalties of up to one year in prison, or both.32 In a positive step, a landmark constitutional ruling in February 2016 annulled Section 96 of the CODE, which had criminalized defamation,33 though the vaguely defined “criminal insult” remains an offense under Section 95. In October 2017, the government under former President Mugabe announced the creation of a new Ministry of Cybersecurity, Threat Detection and Mitigation, which observers widely believed was aimed at curbing freedom of expression online as the country geared up for elections in 2018.40 A government spokesperson stated that the new cybersecurity minister would learn from countries like China and Russia, applauding the two restrictive countries for doing well “in ensuring some kind of order and lawfulness” in cyberspace.41 The new ministry was subsequently dropped after Mugabe’s resignation. Several individuals were arrested for legitimate online activities during the coverage period, reflecting the government’s ongoing intolerance for critical online commentary and activism. At the height of factional struggles over who would succeed then-President Mugabe in the ruling ZANU PF party, Energy Mutodi, a supporter of then-Vice President Emmerson Mnangagwa, was arrested in August 2017 for a Facebook post in which he criticized Mugabe over his handling of the party’s succession politics.42 Mutodi also alleged fellow ministers had attempted to poison Mnangagwa at a Mugabe rally in Gwanda.43 Mutodi was later freed by the courts. Following the creation of a cybersecurity ministry in October 2017, the authorities arrested an American citizen, Martha O’Donovan, for a tweet deemed insulting to then-President Mugabe.47 O’Donovan was released after a week in police custody. Concerns of unchecked government surveillance heightened in the past year in the face of revelations that the government had partnered with Chinese company CloudWalk Technology in March 2018 to implement a nationwide facial recognition program.48 In China, facial recognition technology has already been used to target human rights activists,49 leading to worries that the technology will empower the Zimbabwean government to do the same. Media and freedom of expression advocacy group MISA-Zimbabwe expressed concerns about how the program will infringe on citizens’ privacy rights.50 The program is part of China’s investment of US $71 million through its global Belt and Road Initiative for the development of Zimbabwe’s ICT infrastructure. Several legal provisions may allow the government to conduct surveillance without sufficient oversight. The Post and Telecommunications Act of 2000 allows the government to intercept suspicious communications and requires a telecommunications licensee, such as an ISP, to supply information to government officials upon request.51 Section 88 of the act also obligates telecoms to report any communications with “offensive” or “threatening” content. The Interception of Communications Act of 2007 provided for the establishment of a Monitoring of Interception of Communications Center with the power to oversee traffic in all telecommunications services and to intercept phone calls, emails, and faxes under the pretext of national security, though it is unclear whether the Center is in operation.52 Section 9 of the act requires telecommunications operators and ISPs to install necessary surveillance technology at their own expense and to intercept information on the state’s behalf.53 Failure to comply is punishable with a fine and sentence of up to three years in prison. Warrants allowing the monitoring and interception of communications are issued by the minister of information at his/her discretion; consequently, there is no adequate judicial oversight or other independent safeguard against abuse,54 and the extent and frequency of monitoring remains unknown. The draft National Policy for Information and Communications Technology (ICT) introduced in late 2015 put forth an ambitious set of policies that, if implemented, would provide the government with the ability to shut down networks or block websites as well as strengthen its surveillance capabilities through centralized control over the country’s internet (see Restrictions on Connectivity). In October 2015, Portnet Software—an IT company that provides security solutions for various sectors and in which the government has a 51 percent share—reportedly upgraded its capacity to help the government intercept and analyze ICT communications.55 IT experts saw the move as part of efforts to facilitate the implementation of the draft National Policy.56 Provisions in the draft cybercrime bill introduced in August 2016 also potentially intrude on citizens’ right to privacy by authorizing interception, search, and seizure of electronic gadgets without sufficient oversight to prevent abuse, which would further strengthen the government’s surveillance capabilities. Anonymous communication and user data are compromised by SIM card registration regulations implemented in 2011, which require mobile phone users to submit personal identity details to mobile operators, ostensibly to combat crime and curtail threatening or obscene communications.57 Under the 2013 Postal and Telecommunications (Subscriber Registration) Regulations (Statutory Instrument 142/2013), subscribers are required to register with all telecommunications service providers with details including a full name, permanent residential address, nationality, gender, subscriber ID number, and national ID or passport number.58Network operators are then required to retain such personal information for five years after either the subscriber or operator has discontinued service. 8 Zimbabwe National Policy for Information and Communications Technology (ICT), 2016, Section 23.3. 9 Zimbabwe Internet Service Providers Association membership list, http://www.zispa.org.zw/members.html. 10 L.S.M Kabweza, “Zimbabwe Raises Telecoms License Fees, Migrates to Converged Licensing,” TechZim, March 12, 2013, http://www.techzim.co.zw/2013/03/zimbabwe-raises-telecoms-licence-fees-migrates-to-converged-licencing/. 14 Karombo, T “Zimbabwe sets telecom license fees at $137.5mn,” IT Web Africa, June 3, 2013, http://www.itwebafrica.com/telecommunications/154-zimbabwe/231106-zimbabwe-sets-telecom-license-fees-at-1375mn. 16 “Econet dismisses Supa’s “ludicrous” claims and accuses Netone and Telecel of fraudulent practices,” Pindula, 12 February, 2017, http://www.pindula.co.zw/news/2017/02/12/econet-dismisses-supas-ludicrous-claims-accuses-netone-Telecel-fraudulent-practices/#.WONDb8mxVc8; “Econet Wards into political fray,” The Sunday Mail, 15 January 2017, http://www.sundaymail.co.zw/econet-wades-into-political-fray/; Chitemba, B. “Econet-Zimra bosses in US300 M scandal,” The Sunday Mail, 5 February, 2017, http://www.sundaymail.co.zw/econet-zimra-bosses-in-us300m-scandal/; “Seething Econet Pulls no punches,” The Sunday Mail, 12 February 2017. 21 Freedom House consultant interviews, May 2016. 29 In interviews with opposition members some reported being threatened on Facebook and twitter for their comments on the new government. 47 Jason Burke, “US woman charged over tweet allegedly insulting Robert Mugabe,” The Guardian, November 3, 2017, https://www.theguardian.com/world/2017/nov/03/martha-odonovan-arrested-zimbabwe-alleged-mugabe-goblin-tweet-harare?CMP=twt_gu. 60 Postal and Telecommunications (Subscriber Registration) Regulations, 2014, http://www.cfuzim.org/images/si9514.pdf. 61 “Bill Watch 29/2014 of 21st July,” The Zimbabwean, July 22, 2014, http://bit.ly/1Gae1nc.